Support music and phone call. Caller ID, the last call back. Phone power display, you can always watch the headset power situation. Bluetooth headset every time connected to the phone after the shutdown. Intelligent compatibility: support all with Bluetooth mobile phone, tablet, notebook, singing it, QQ music, movies, etc. Charging time about 1 hour. 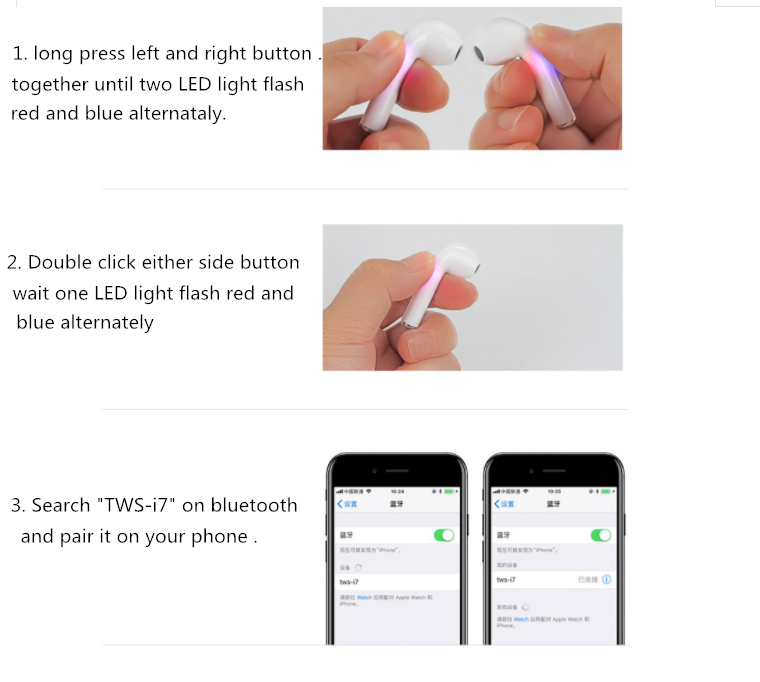 1*Mini Bluetooth Headphones(only one right ear) You can choose a pair of earphones.